William R. & Teresa F. Kurau Lampeter, Penn. 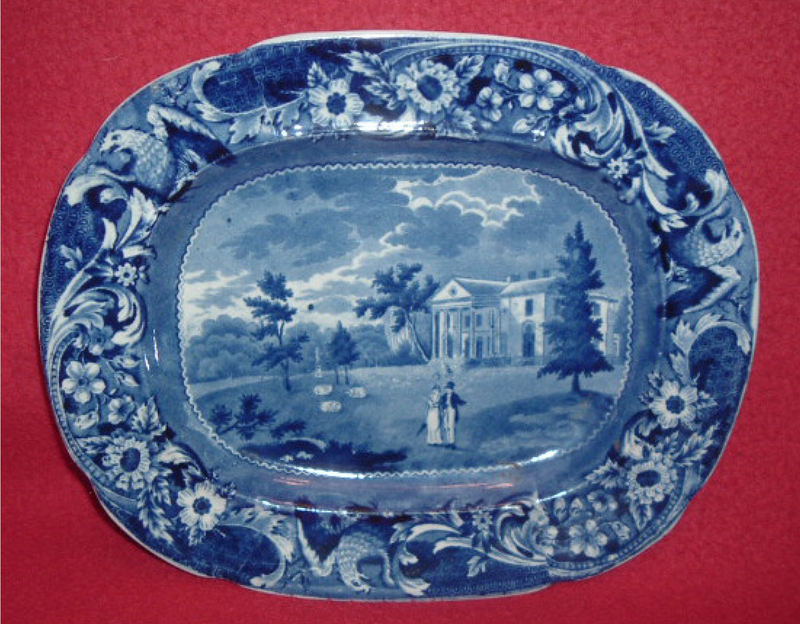 717-464-0731 lampeter@epix.net www.historicalchina.com 10¾” dark blue “Woodlands Near Philadelphia” platter by Joseph Stubbs. Fine condition, circa 1825.